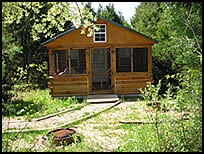 Indiana has a wide variety of Cabin Rental Options. 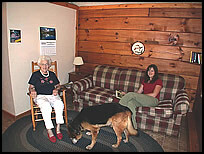 The term Cabin fits a very wide range of lodging types. 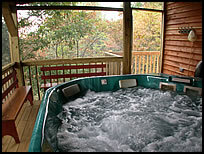 The types of cabins vary so widely that almost anything that is not considered either a hotel or a bed and breakfast can be considered a cabin. You may be thinking of a cabin as a 100 year old log cabin that Abraham Lincoln may have lived in. These exist, but they are not the norm. Anything from a large house to a small camping cabin are what you will find. The types are discussed below. Houseboats offer the best of both worlds - they're comfortable cabins, and they're boats that can take you to the good fishing or swimming. 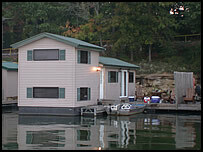 Patoka Lake is the only place in Indiana that rents houseboats. Camping Cabins are typically smaller, and you probably still need to bring your camping gear (except the tent). They often have electricity, heating and air conditioning. They may or may not have a bathroom, shower, water or kitchen facilities. These cabins are commonly found throughout Indiana. Currently there are no camping cabins found at Patoka Lake. copyright 2003-2018 The Technological Edge, Inc. All rights reserved.